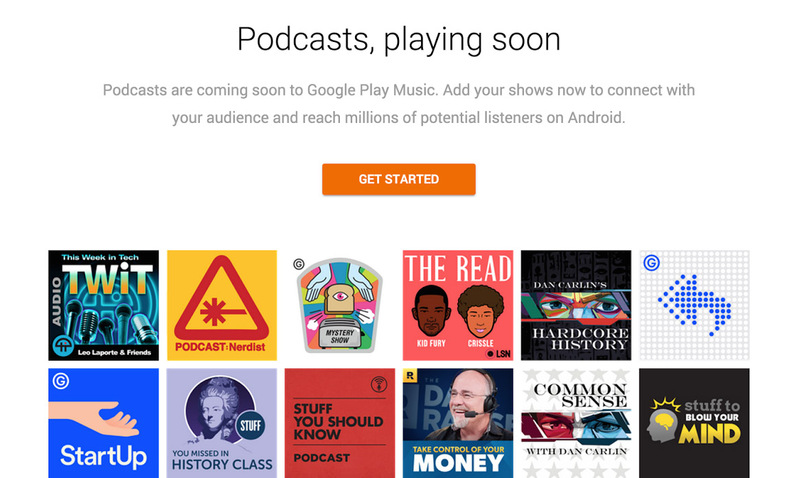 Back in October of last year, Google announced that podcasts would soon join the line-up of offerings on Google Play Music. October seems like a hell of a long time ago, so as you can imagine, many of us have been itching for some news on when they might actually arrive. According to former ESPN and Grantland talking head, Bill Simmons, we should see podcasts show up this month (as in, February). Today, Simmons, who has a popular podcast called the “Bill Simmons Podcast,” announced that he has some 27 million “listens” in just 4 months of existence. Of course, he hit those numbers in such a short amount of time after years of successful podcasting while with ESPN. 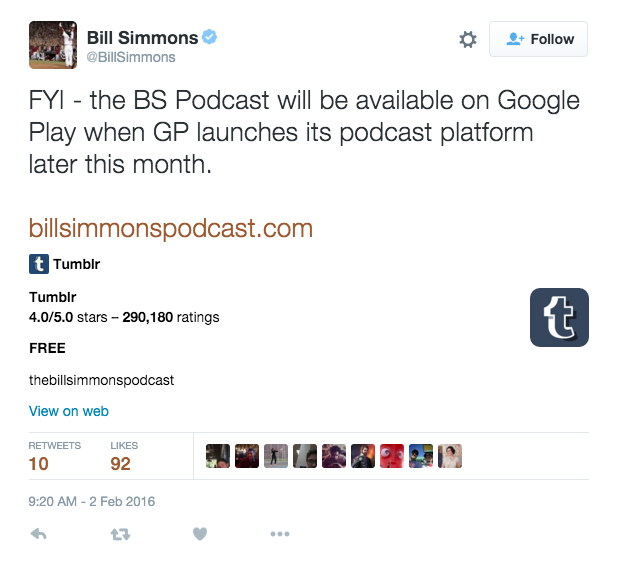 Not that you care unless you are a sports nut who appreciates Simmons’ often wild takes on sports and homerism of all things Boston, but many of you are probably wondering who Bill Simmons is and why you should care what he says about podcasts coming to Google Play. In short, the dude is a big time podcaster and would probably know. So, assuming Simmons is correct, we should finally see podcasts come to Google Play Music this month. That’s awesome news, especially for those of you looking to keep up with the Droid Life Show. We are signed up and ready for launch there. UPDATE: Yep, he deleted it alright. But because we expected that to happen, you can see it above still. Android Distribution Updated for February 2016: Hey, Marshmallow Hits 1%!